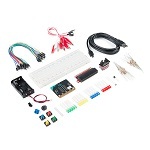 Great kit for getting started with microprocessors and electronics. 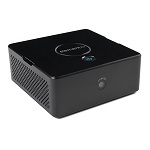 The DIY Pi Desktop is an innovative accessory that has been designed to be used in conjunction with a Raspberry Pi 2 or 3 to give them the functionality of a standard desktop computer. 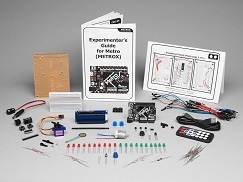 Great kit for getting started with microprocessors and electronics on a budget. The Adafruit Metro Starter Pack is easy to use and hacker friendly and this is the perfect beginner kit for learning how to use the Adafruit Metro! 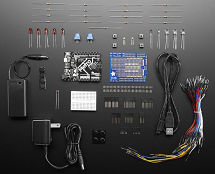 The Microsoft Azure IoT Starter Kit for the SparkFun Thing Development Board has been designed to helpseamlessly connect your device to the cloud with Microsoft Azure IoT. 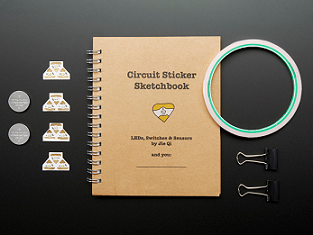 The LilyPad Design Kit (LDK) is a great way to get started with e- textiles. The LDK includes everything you need to complete 6 simple experiments that will teach you the basics.